Is there anything more wonderful than the growing of your baby in your belly? With my camera I catch that magical time with professional and esthetic photos for you and you can keep those moments with you forever. I would like you to have a wonderful time for yourself during your photoshooting, but also to have maternity photos that you can look with a smile on your face and enjoy for a lifetime. Your pregnancy photos are created for now so that you can look in your computer from time to time but also they are created to be enjoyed by you, your children and your grandchildren. Before our maternity photoshooting in Zürich we have one hour of consultation specially dedicated for you. During that hour I answer all your concerns, listen your wishes and also explain you from the very beginning until the very end what to expect. It is not a binding appointment though. You always have the chance to decide to book your photo session after our appointment. There is nothing in rush, nothing stressed. It is not a come&go photoshoot with me. It is an experience that every moment of its is designed and planned according to your wishes and needs. As every person is different, every photosession is also different. Before the maternity photoshooting you also receive a preparation document from me. So you will never have to remember what we talked during the consultation for your pregnany photoshooting. Every little detail is explained so that you will arrive on the day of your maternity photosession very well prepared. Your hair and makeup takes around an hour and then we start our photosession. 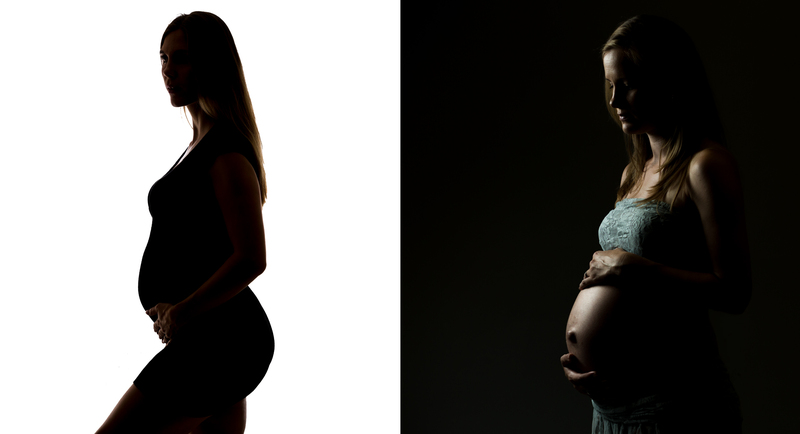 Your pregnancy photosession happens in my studio in Zürich. I have a vast studio-garderobe for you to choose. I want that this is a time for you to relax and enjoy. Your husband / partner is also welcome without any extra charge. The goal of the pregnancy photography is to celebrate the body of the mother-to-be in the most esthetic way and in a very calm and relaxing atmosphere I create your pregnancy photos for you. Standing for the first time in front of a camera in a photostudio can be challenging. I understand you. You don’t know what to do, where to put your hands, where to look or how to stand. It is my job to pose you, light you and show you in the best possible way so that you can have the most wonderful pregnany photos that you will fall in love with. I also now how to create a relaxed and calm atmosphere so that we can get the expressions as we want them in your photos. This is a special time so you should have the special maternity photos.